Today; Friday 1st September as I walked my Cocker Spaniel through meadowland in East Sussex, those memories came flooding back. 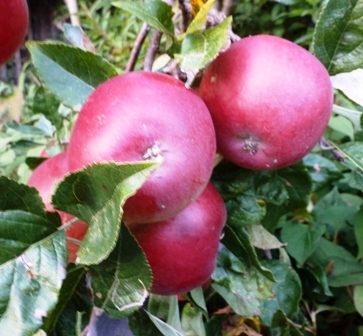 On returning home, I spoke to some of my apple and pear growing friends; this is an early season and the 'classic scenario' is being played out. When the season is normal (what's normal these days?) each variety starts maturing in a steady way, allowing one variety to follow another with some semblance of 'order' - when the season is early, the later varieties start maturing earlier, coming in on top of the earlier varieties and this is now happening: comments from industry friends like: 'its crazy' - "we have just started picking Cox and Gala is already edible on the trees" - another said: "a second pick of earlier varieties, will most probably be for juice as the fruit is too ripe for retail sale" - some good news from another - "we picked about 75% of last year's Bramley crop, but with the 'frost eye' damage, 60% will go forward for retail sale and 15% for juice" - the demand with a smaller crop of Bramley suitable for the retail trade, has resulted in some growers already agreeing a sale of their Bramley. Gala is maturing rapidly on all Kent sites and in many cases will need harvesting for long term storage next week (w/c 4th September). History has shown time and again that harvesting Gala before the starch has declined to 80% produces the best eating quality out of store and this is particularly important for those growers using DCA (Dynamic Controlled Atmosphere) storage. Some orchards in West Kent are already beyond this, so clearly these orchards should not be targeted for long term storage and marketed earlier as a result. Unlike many other varieties, Gala has a habit of maintaining starch levels for several weeks at between 95-100% starch before declining rapidly at up to 4% a day. This rapid decline has already started on the majority of the orchards we sampled and with the current weather being ideal for ripening, there is clearly a real need to focus on picking Gala orchards over the next week or so. 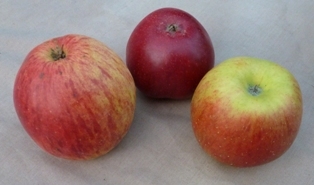 The belief that leaving Gala on the tree to gain (Brix) sugar levels (Gala is often below or just in line with retail specifications) was challenged some years ago (when The EAM was still working in the industry) by work in New Zealand which demonstrated picking at a higher level of starch (90%) than other known variety standards (say Cox @ 70% starch) for long term storage, resulted in starch to sugar conversion in store. superior to apples left on the tree. "In all cases last year, the fruit with the highest brix levels was the early picked fruit and some of the fruit left on the tree for a supposed increase in brix actually went down in store! " "Therefore: Regarding brix levels, once starch levels are 90% or below DO NOT DELAY PICKING IN THE HOPE YOUR BRIX LEVELS WILL RISE!! Before signing off.........I look back again to my youth in the village of Hawkhurst in West Kent; we were one just two 'specialist' fruit farms in the parish. In our parish 14 hop farms dominated the farming scene........as kids we would find our way to Owen Batt's Pixhall Farm (Uncle Batt to us kids) and play happily among the hop gardens....riding on the 'hop pokes' carried in wooden wagons pulled by carthorses......in the Parish, Hop Growers: Tom Gunner, John Tabrett, 'Brinsley's - Delves, Pipers Santers, Thirkells, are names that spring to mind!